← Rokerthon 2 at the Four Corners Monument! 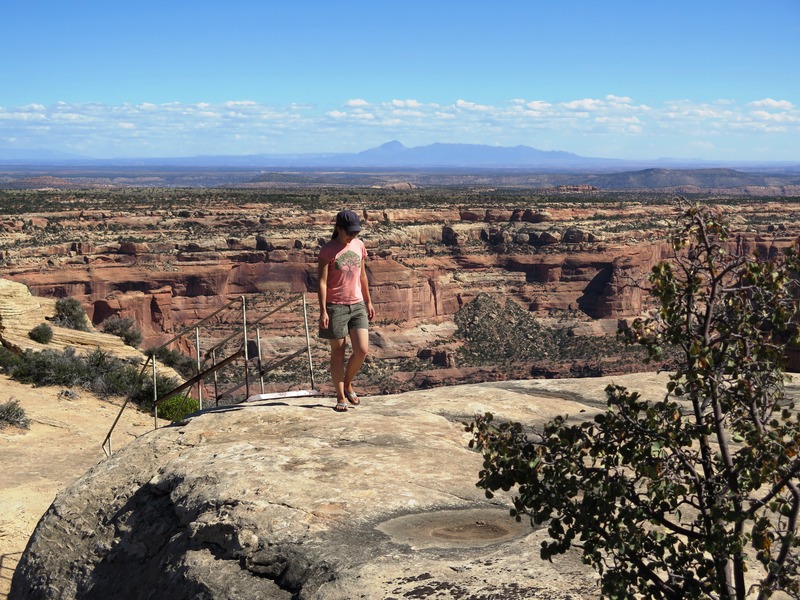 The view at Arch Canyon Overlook is AMAZING! Every year about mid to late February when the temperatures creep up to the 40s and sometimes even 50s, I start to get the itch to get out and explore this beautiful area we live in! Two weekends ago it was 41 degrees in Monticello and my husband and I wanted to take our son for a quick hike and were debating between either Indian Creek or Bluff, and finally decided on Indian Creek since it would save almost an hour of driving and it was already early afternoon by the time we decided to go. Well, it didn’t quite turn out as we had planned. As we left Monticello and dropped down off Peter’s Hill, we watched as the temperature started dropping and by the time we got down into Indian creek it was only 37 degrees and there was more snow on the ground than I’ve ever seen down there! 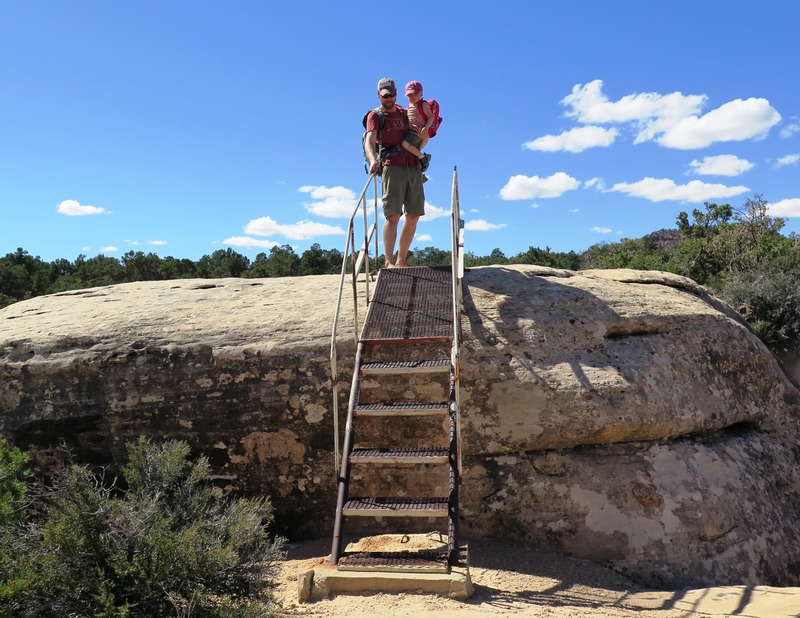 It was really sad because our son was so excited to go on an ‘adventure’, he didn’t want to stop walking once we got to the petroglyph panel at Newspaper Rock. 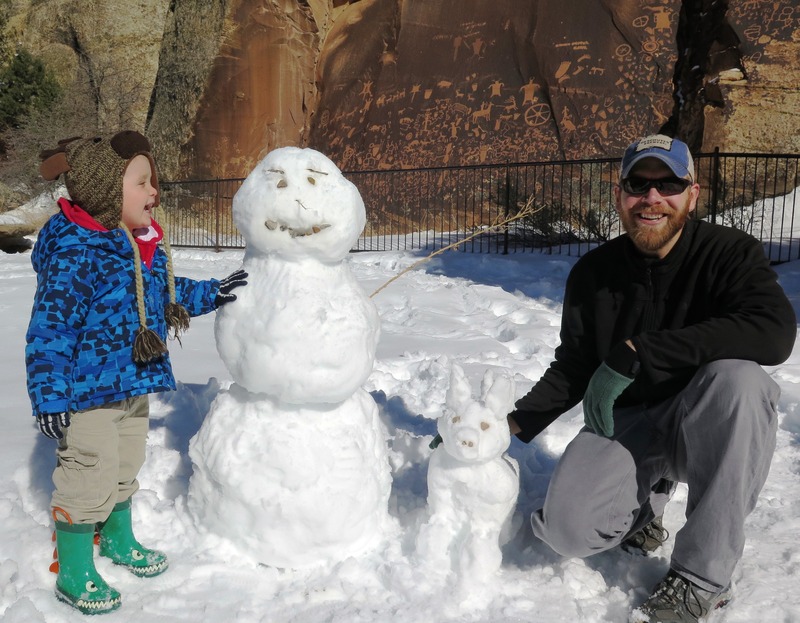 We weren’t dressed for hiking in the snow at all since we had thought it would be warmer down there and hadn’t worn or brought any snow gear, so we ended up just visiting Newspaper Rock and building snowmen and having a snowball fight which seemed to satisfy him. We built a snowman (and snowdog!) at Newspaper Rock! Last weekend was another nice one with temperatures up to the low 50s in some of the lower elevations around here. 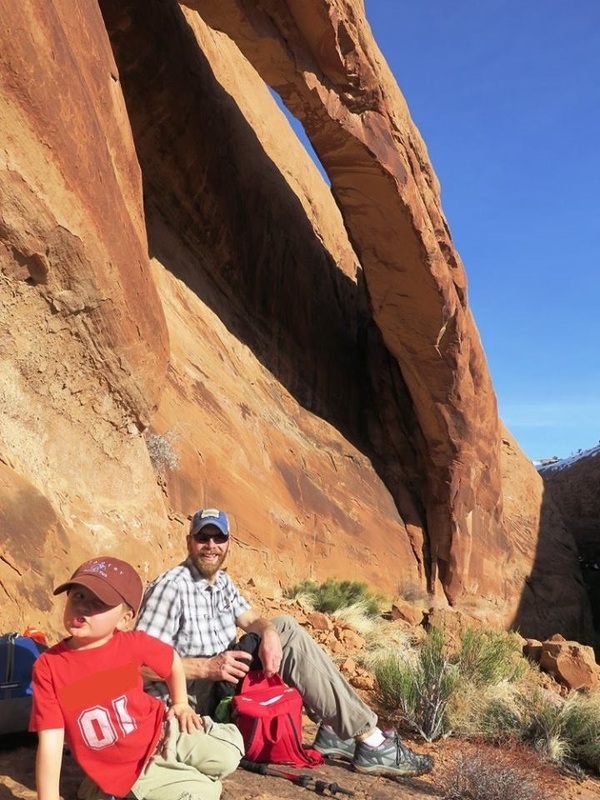 Since it was Valentine’s Day we decided to head to Moab for some retail therapy, lunch, and a hike to Longbow Arch. I was so proud of my little guy- he walked the whole way there himself, all 1.2 miles! I didn’t willingly hike over a mile until I was in college, and here he is at 3 1/2 hiking like a champ! Sorry, I got a little sidetracked there! But what I’m getting at is that every year when the cold weather lifts for a couple weeks (yes, I’m fully aware that winter is NOT over and we’re probably definitely going to get more snow!) I start to get excited at the thought of all the hiking and camping possibilities that are right around the corner! Since hiking season will soon be upon us, (hopefully!) I wanted to share one of my favorite ‘adventures’ from last fall out to Arch Canyon Overlook. Arch Canyon Overlook is AMAZING! I seriously couldn’t believe how beautiful it was up there! 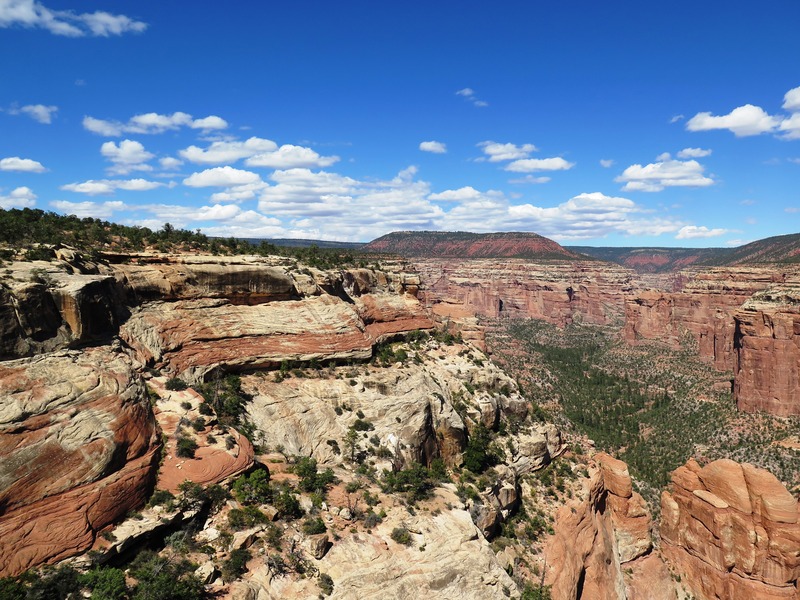 I’ve been all over that area, including hiking the north and south (House on Fire Ruin) forks of Mule Canyon and riding a 4-wheeler through Arch Canyon with the San Juan ATV Safari, (read my blog entry on the ride HERE) but I still wasn’t prepared for the view from the top. I almost want to compare it to the Grand Canyon… but that’s a dangerous thing to get people expecting that they’re going to see. But I will say that the way I felt when I walked up to the overlook was similar to how I felt the first time I saw the Grand Canyon. It’s an amazing view from up there! As much as we like to get out with our little guy, it’s also very stressful to take him places like this with such big drop-offs. My husband used to work for the National Park Service at Glacier National Park, and got me into reading the ‘Morning Report’ which is a daily report of all the incidents and accidents that happen in National Parks and Monuments across the country. When I first started reading it I was shocked at how many drownings, falls, and suicides there are in our parks and monuments on a regular basis! I had no idea, and it’s always really stuck with me. I haven’t been reading the Morning Report for several years now, (probably since I had a child and barely have time to get dressed or brush my teeth some days!) but I just looked it up and it appears that the Morning Report is no more… looks like August 31st of 2015 was the last day and the park service has changed to a new website and as far as I can see, it’s more just news releases about events and things that are happening in the parks. Here’s a LINK to the old Morning Report just to give you an idea of what it was like. You can still see the posts for the week leading up to the final day. As I was saying, it’s stressful to take our son to places like this with big drop-offs and no rails, (I’ll be writing about an awesome camping trip we went on in the fall soon, but again, it was right on the rim of a canyon with a huge drop-off) but I’ve decided that I’m not going to limit the things our family does just because I’m scared or worried about things like that. Instead, we just have to watch him like a hawk and make him sit down or hold him when we’re anywhere near the edge. 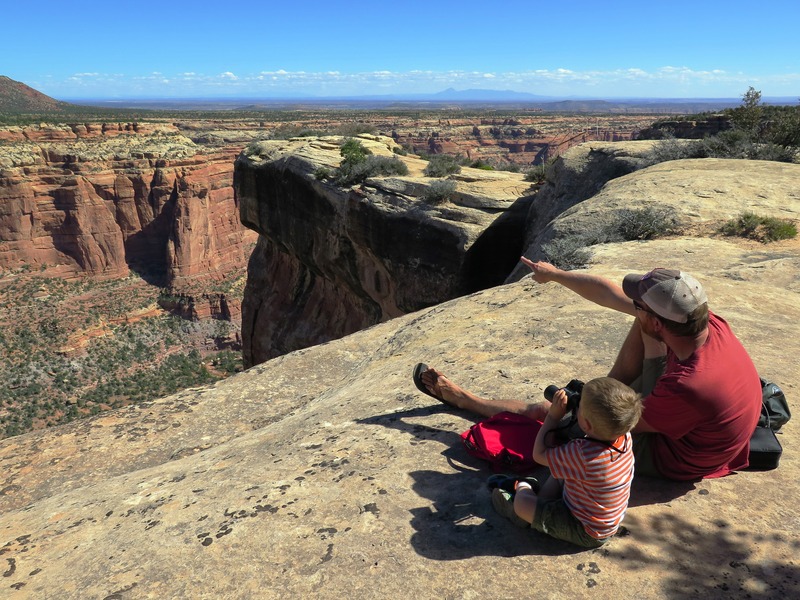 I think the photos speak for themselves… it’s an amazing place and you’ll likely have it all to yourself when you visit, which in my opinion is one of the best things about all the beautiful places like this in San Juan County. So maybe I should stop telling people about all my favorite places? I’ve thought of that, but this area is just too amazing to keep it all to ourselves! 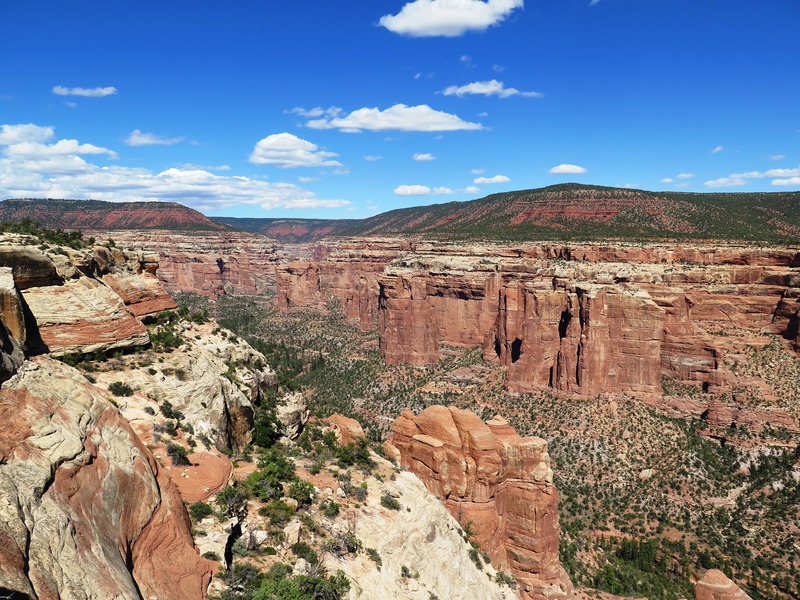 Plus, San Juan County is one of the biggest counties in the country, so I think there’s enough space for all of us to enjoy! Turn north on Co. Rd 263 (located about halfway between Blanding and Natural Bridges National Monument) near mile marker 102. 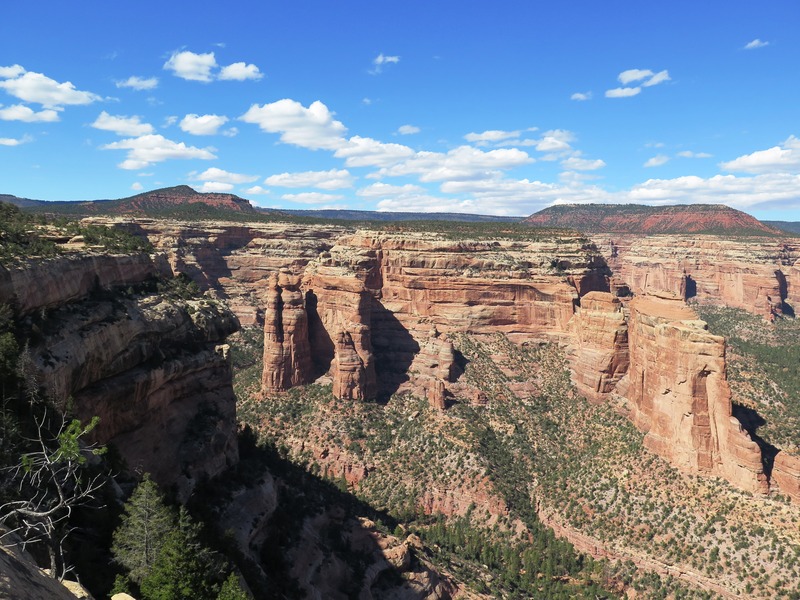 If you’re coming from the west it’s very easy to find- you will see a sign for ‘Mule Canyon Ruins‘- this is NOT where House on Fire is located, this is a developed site with a kiva with interpretive signing, paved parking lot, and a pit toilet. As soon as you pass this, the turn for House on Fire will be your next left. If you’re coming from the east, it’s the next right after mile marker 102. 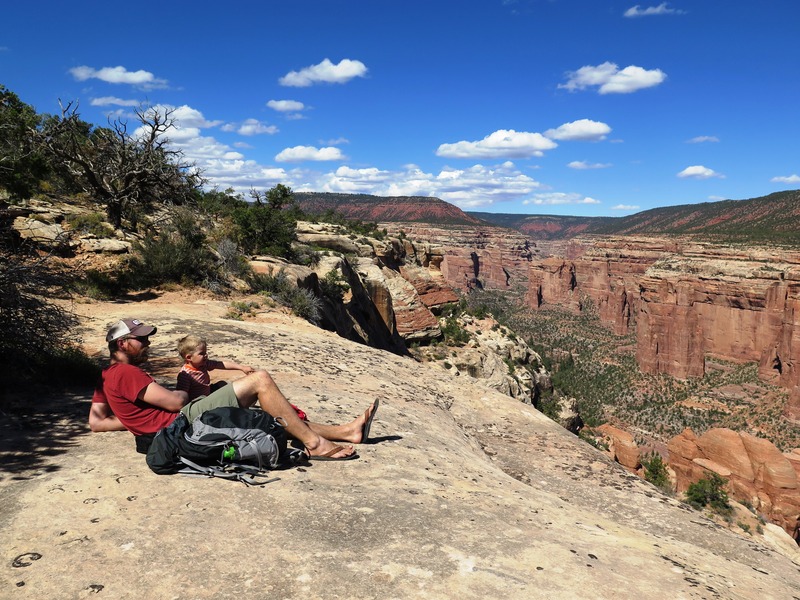 After turning off of hwy 95, reset your odometer and follow Co. Rd 263 past the trailhead for House On Fire Ruins and continue for about 1 mile until just after you cross the North Fork of Mule Canyon and stay left at the fork. Continue on this road until mile 5.2 where you will reach another fork- stay right on the more well used road and continue to 6.4 miles where you will reach another fork. If you’re worried about clearance, you can park here and walk the final .2 miles to the overlook, otherwise turn on this road and continue to the parking area. 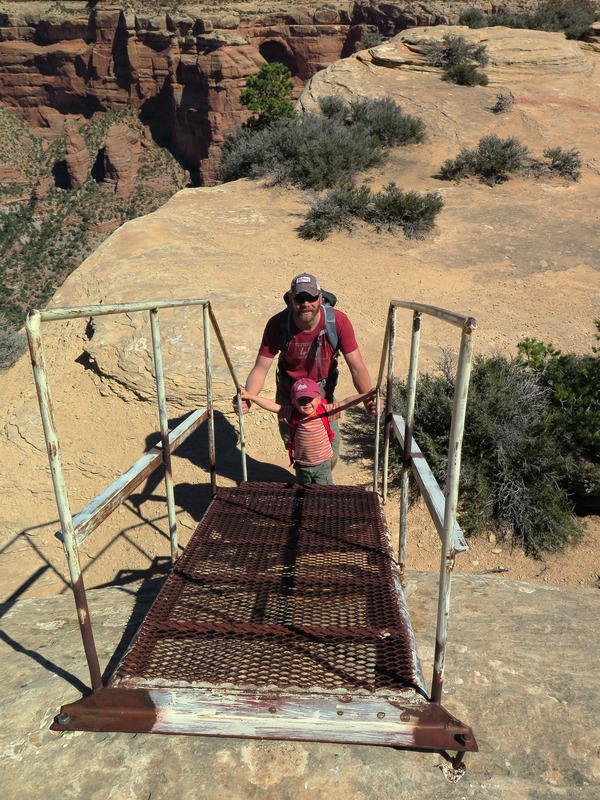 If you would like to visit Arch Canyon Overlook with one of our local guides on a jeep, side-by-side, ATV, or hiking tour, please visit the Guides & Outfitters page on our website. 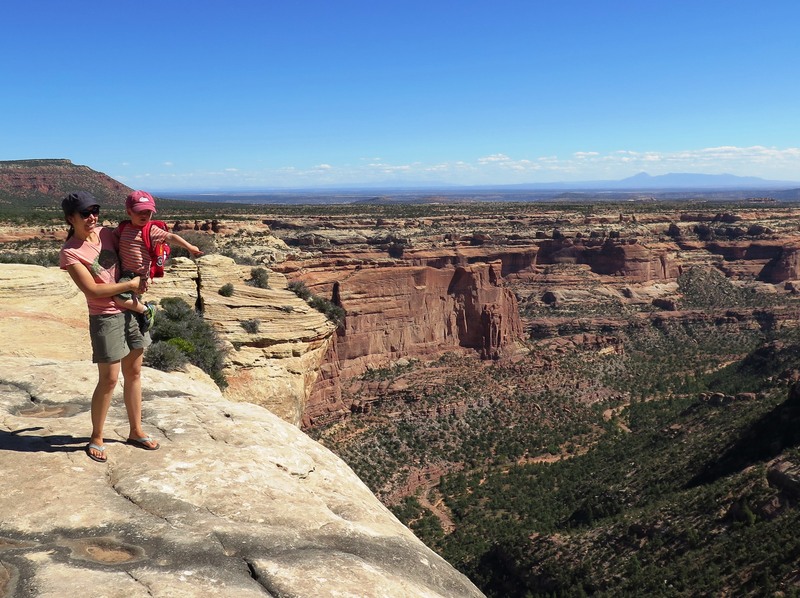 This entry was posted in ATV, Blanding, Camping, Cedar Mesa, Fall, Geology, Hiking, Off the Beaten Path, Rock Art, Things to do for FREE!, Travel, Utah and tagged Camping, Cedar Mesa, Day Hikes, Hiking, Hwy 95, Newspaper Rock, Off the Beaten Path, Things to do for FREE!, Travel, Utah. Bookmark the permalink. Thanks for your comment Alicia! Please let us know if we can be of any assistance when you plan your trip! Thank you so much for your comment! I’m glad to hear that my blog gave you a couple ideas for new places to go while you’re in the area! Showing our friends House on Fire and then driving out Arch Canyon was on today’s agenda!! There was no snow in the forecast!! Darn! Oh no! That’s too bad! But I’m sure you’ll be back and will have a chance to do get out there next time. I’ve checked out your blog too- you guys have great information on there! When I get a chance to look at it a little more, I was thinking I might share a couple of your entries on our facebook page- would that be okay?